Discovered 2000 Sept. 1 by the Lincoln Laboratory Near-Earth Asteroid Research Team at Socorro. 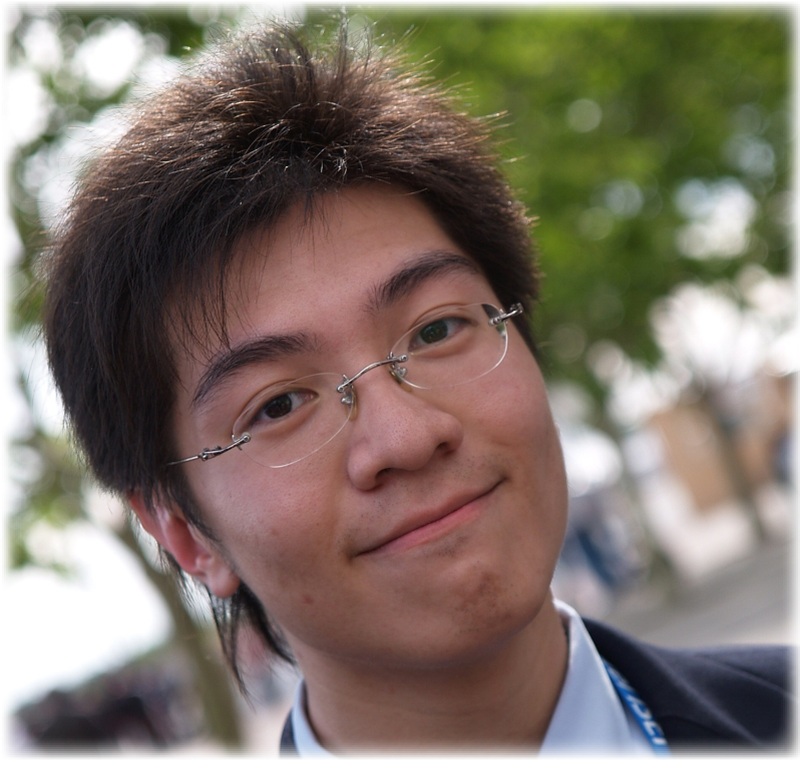 Chan Yik Hei (b. 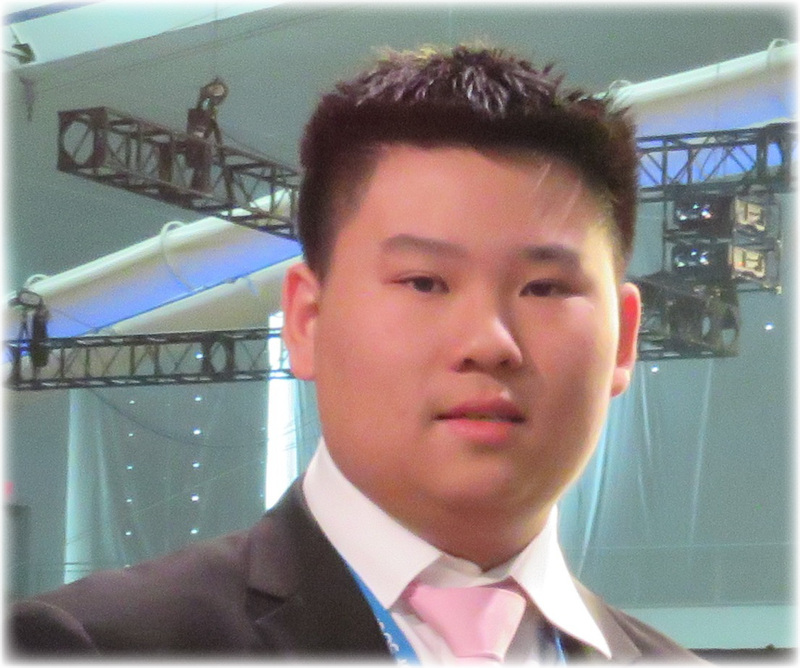 1989) was awarded second place in the 2004 Intel International Science and Engineering Fair for his engineering project “Total Equip - Intelligent Security Robot”. He attended the CCC Tam Lee Lai Fun Memorial Secondary School, Hong Kong, China. Discovered 2000 Apr. 6 by the Lincoln Laboratory Near-Earth Asteroid Research Team in Socorro. Ka Kin Chan (b. 1988) was awarded first place and Best in Category in the 2007 Intel International Science and Engineering Fair for his environmental management project “Miracle Plastics from Cellulose Waste”. He attended the Hong Kong Chinese Women's Club College, Hong Kong, China. Discovered 1998 Aug. 17 by the Lincoln Laboratory Near-Earth Asteroid Research Team at Socorro. Lau Tak Shing (b. 1993) was awarded second place in the 2008 Intel International Science and Engineering Fair for his electrical and mechanical engineering team project “21st Century Miracle Lock”. He attended the Maryknoll Fathers' School, Hong Kong. Discovered 1998 Aug. 24 by the Lincoln Laboratory Near-Earth Asteroid Research Team at Socorro. Lau Tak Kin (b. 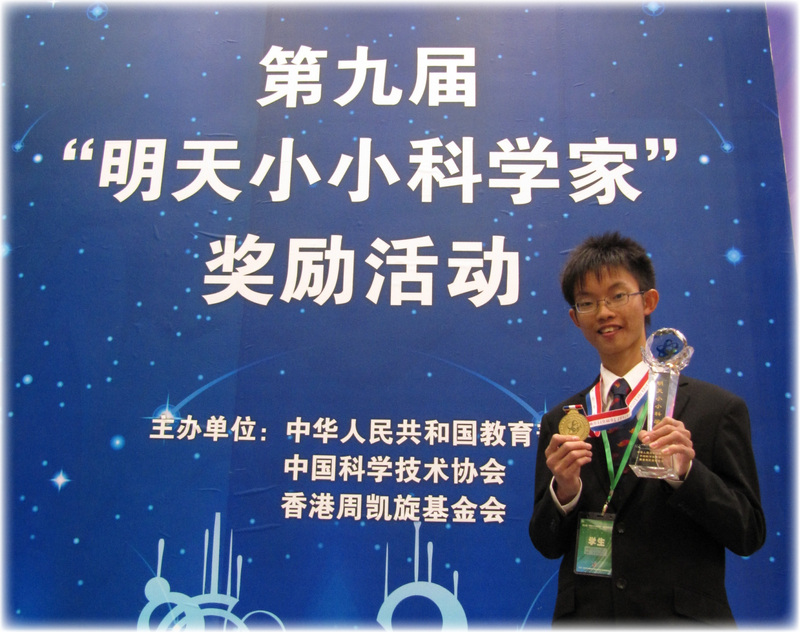 1993) was awarded second place in the 2008 Intel International Science and Engineering Fair for his electrical and mechanical engineering team project “21st Century Miracle Lock”. He attended the Maryknoll Fathers' School, Hong Kong. Discovered 2001 Sept. 20 by W. K. Y. Yeung at the Desert Eagle Observatory. Lam Chun Hei (b. 1991) was a student at Shun Tak Fraternal Association Yung Yau College in Hong Kong. The plastic disposal problem motivated him to develop a new low-cost plastic-recycling method. 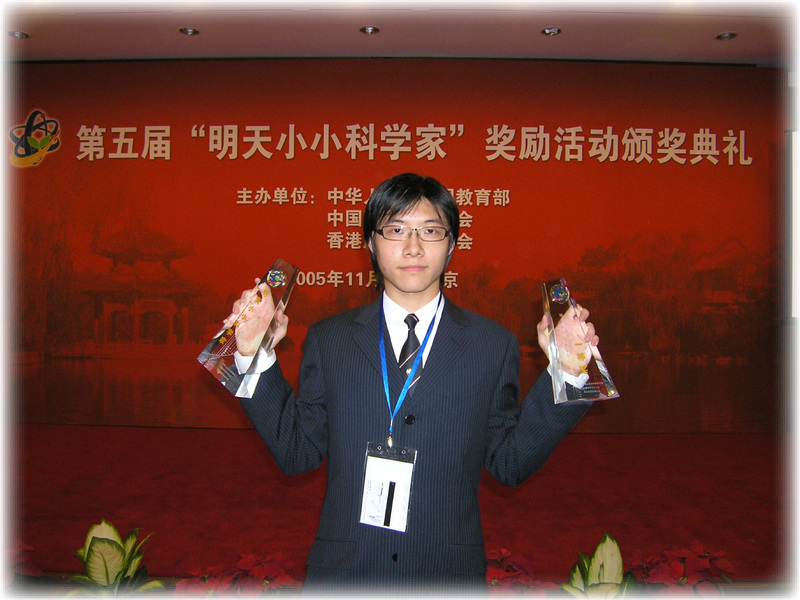 His research project "Self-reinforced Polymer Composite from Postconsumer Waste" won him many awards. Lee On-ki (b. 1994) was a student at Shun Tak Fraternal Association Yung Ya College. Her grandmother's death from cancer motivated her to study "How Chinese Tea Inhibits the Growth and Proliferation of Human Cancer Cells", which won her awards in the Hong Kong Youth Science and Technology Invention Competition. Discovered 1998 Mar. 20 by the Lincoln Laboratory Near-Earth Asteroid Research Team at Socorro. 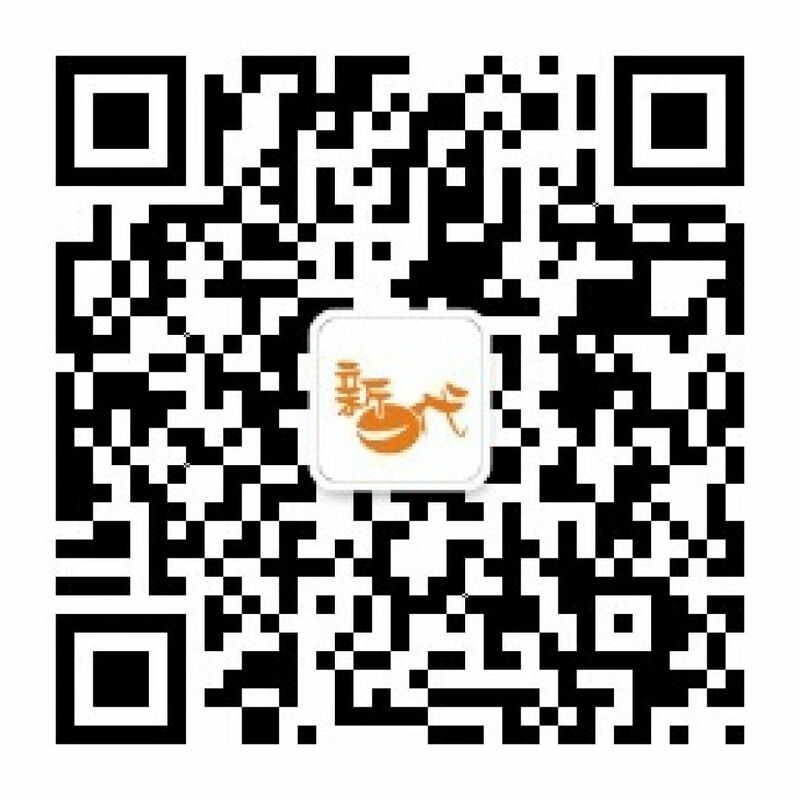 Kan Wing Yi (b. 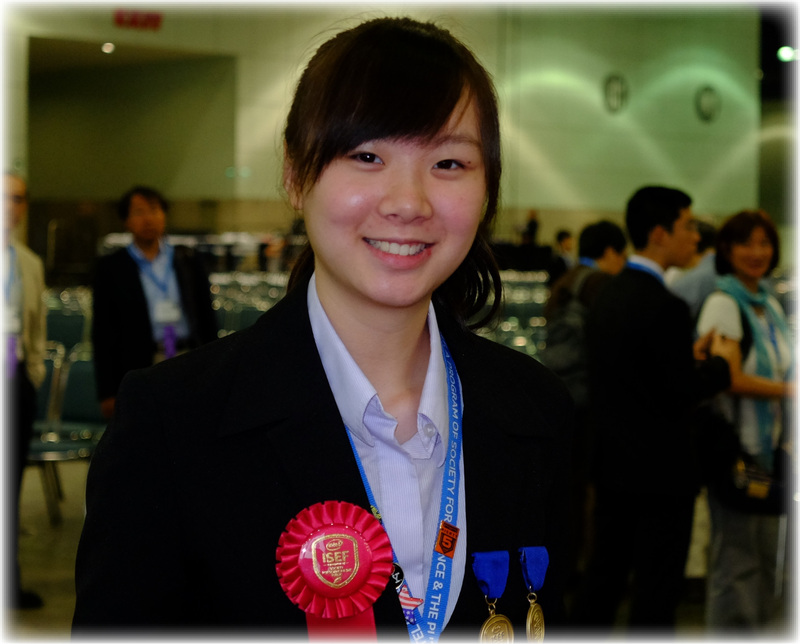 1998) was awarded second place in the 2014 Intel International Science and Engineering Fair for her environmental management project “Biodegradable Dressing: Breathable, non-Allergic and Edible”. She attended the Maryknoll Fathers' School, Hong Kong, China. Discovered 1998 Mar. 24 by the Lincoln Laboratory Near-Earth Asteroid Research Team at Socorro. Chan Tai Hei (b. 1996) was awarded best of category and first place in the 2014 Intel International Science and Engineering Fair for his chemistry team project “An Investigation on Traditional Chinese Silver Staining Diagnosis and its potential use as a novel preliminary test for Chronic Renal Failure”. He also received the Philip V. Streich Memorial Award. He attended the King's College, Hong Kong, China. Discovered 1998 Mar. 31 by the Lincoln Laboratory Near-Earth Asteroid Research Team at Socorro. Fang Er Hai (b. 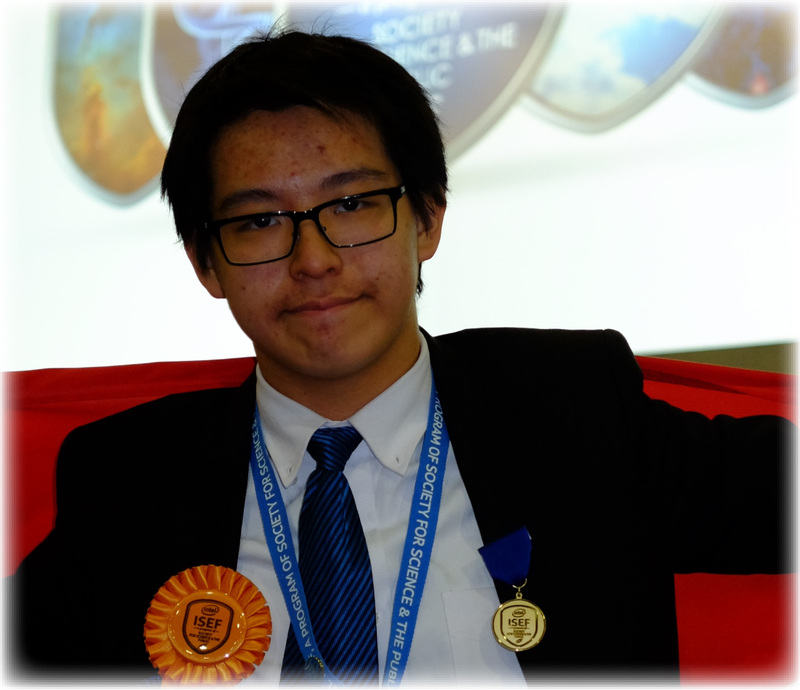 1996) was awarded best of category and first place in the 2014 Intel International Science and Engineering Fair for his chemistry team project “An Investigation on Traditional Chinese Silver Staining Diagnosis and its potential use as a novel preliminary test for Chronic Renal Failure”. He also received the Philip V. Streich Memorial Award. He attended the King's College, Hong Kong, China. Discovered 2000 Apr. 5 by the Lincoln Laboratory Near-Earth Asteroid Research Team at Socorro. Wong Sum Ming Simon (b. 1997) was awarded second place in the 2015 Intel International Science and Engineering Fair for his materials science team project “Self-sanitising Door Handle”. 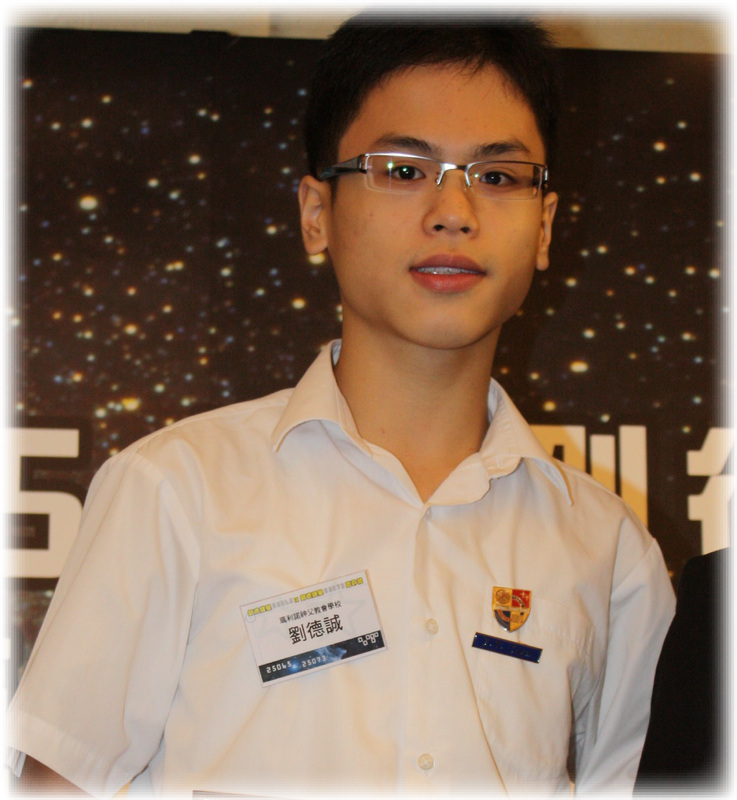 He attends the Church of Christ in China Tam Lee Lai Fun Memorial Secondary School, Tuen Mun, Hong Kong, China. Li Kin Pong Michael (b. 1997) was awarded second place in the 2015 Intel International Science and Engineering Fair for his materials science team project “Self-sanitising Door Handle”. He attended the Church of Christ in China Tam Lee Lai Fun Memorial Secondary School, Tuen Mun, Hong Kong, China. 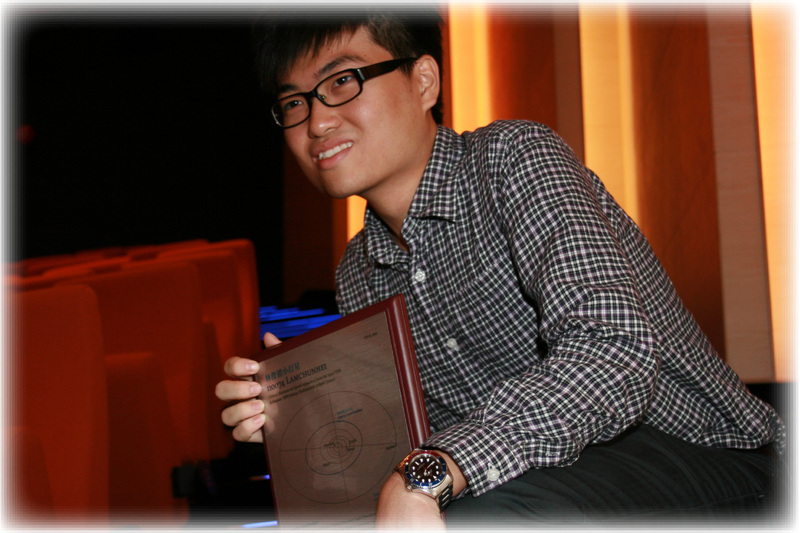 Huen Yin Fan Denis was awarded with the title of “Future Scientist” in the 5th Awarding Program for the Future Scientist in 2005 for his project “Artificial Leg”. 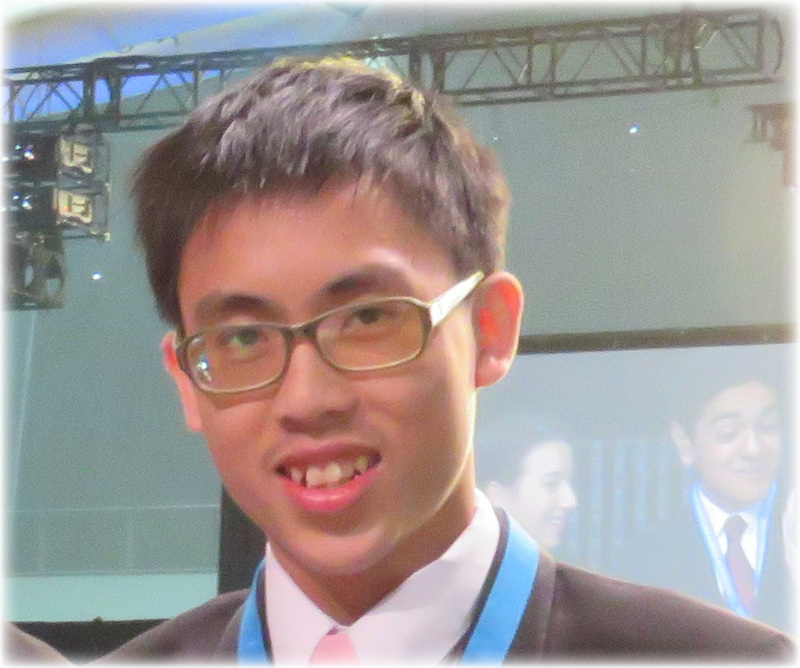 Denis attended La Salle College and is the first student in Hong Kong to obtain such title in the Program. 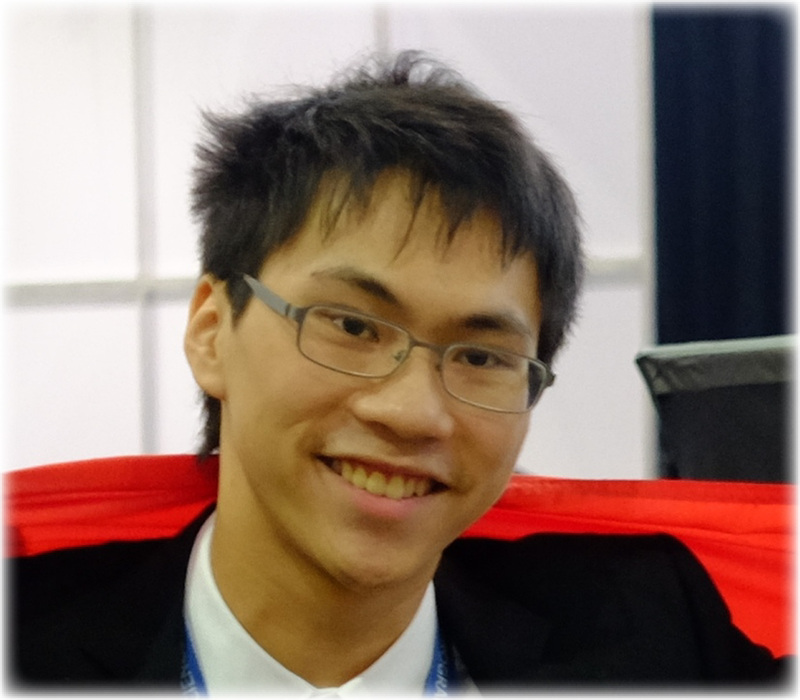 Chu Hoi Ming was awarded with the title of “Future Scientist” in the 9th Awarding Program for the Future Scientist in 2009 for his project “Inedible Cellulosic Ethanol”. He attended Carmel Pak U Secondary School. 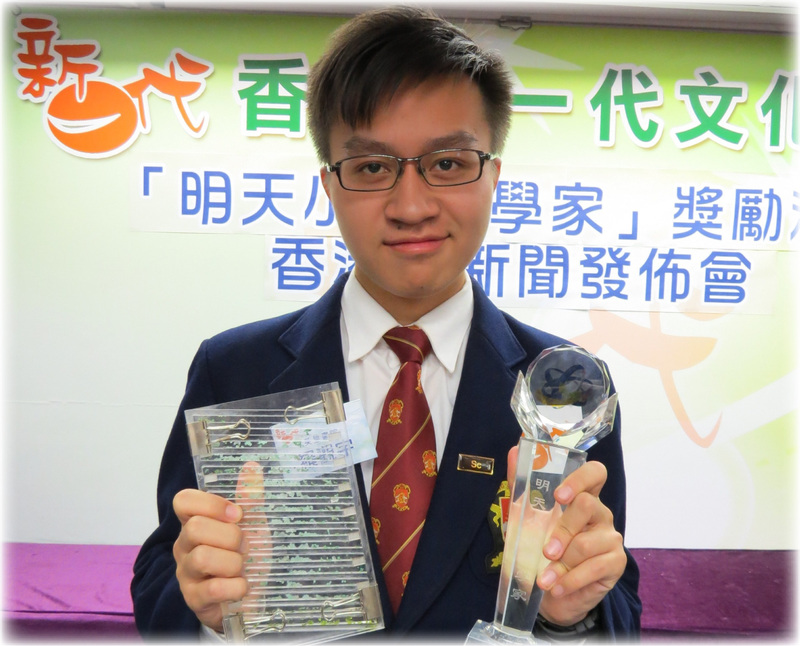 Lo Kwun Yu was awarded with the title of “Future Scientist” in the 13th Awarding Program for the Future Scientist in 2013 for his project “Algination: Novel way to treat with metal sewage”. He attended King’s College. 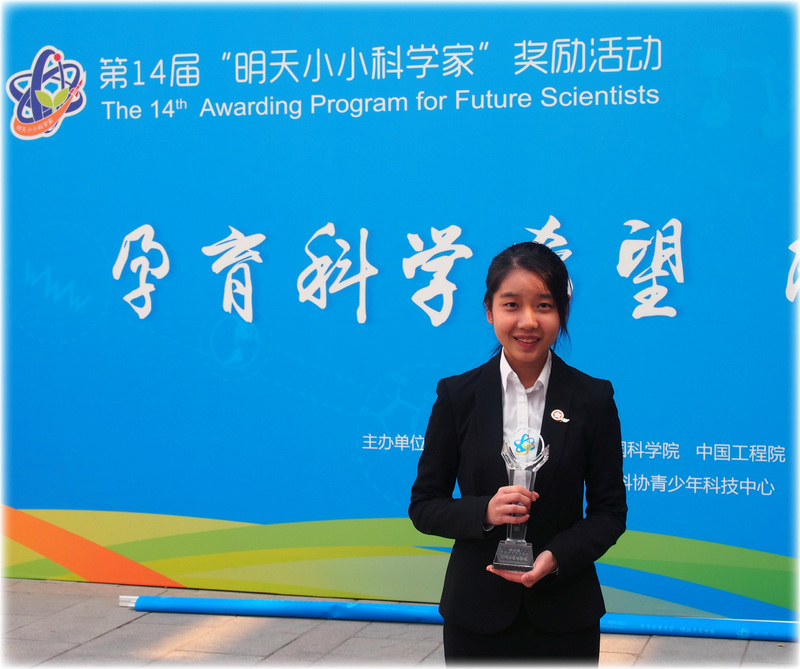 Wu Shi Kei Seraph was awarded with the title of “Future Scientist” in the 14th Awarding Program for the Future Scientist in 2014 for her project “Metallic Rainbow”. 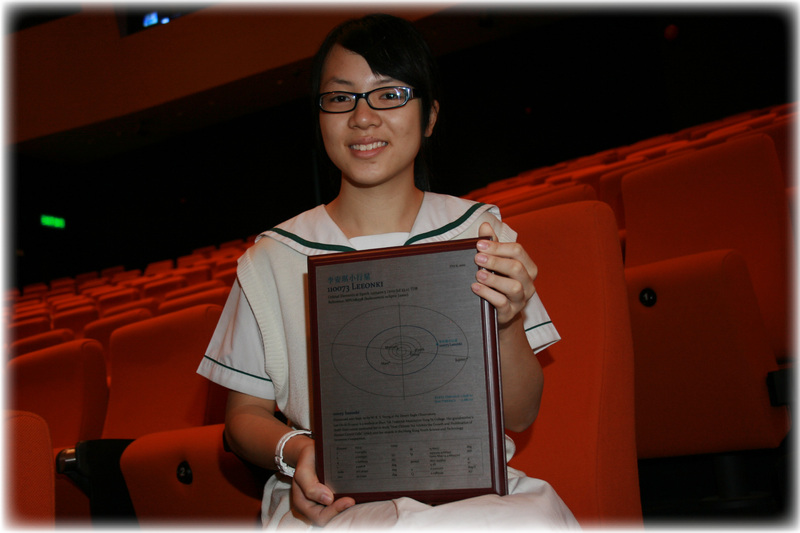 Seraph attended St. Paul's Convent School and is the first girl in Hong Kong to obtain such title in the Program.